Lower back issues are very common and can be at best an annoyance and at worst utterly debilitating. The great news is that yoga can benefit you hugely in the prevention and cure of many lower back problems. The five exercises described below are a great way to not only strengthen the lower back muscles and core but also to increase flexibility and movement in the spine. The strength work allows us to support our upper torso, preventing slouching and the compression of the lower spine. The flexibility work moves fresh oxygen and nutrients into the cartilage between the vertebrae making for a healthier, more flexible spine. 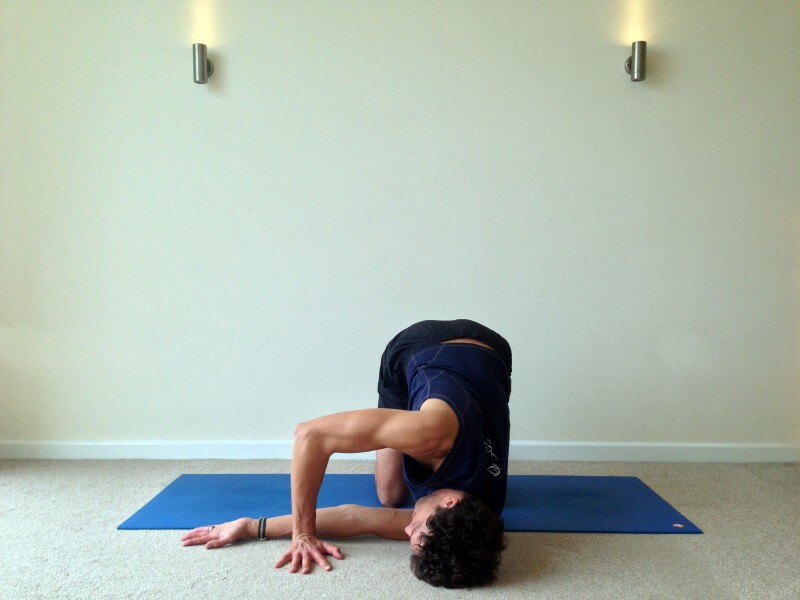 It also opens the hips releasing tension and tightness in the lower spine. If practiced on a regular basis, the postures below will help promote a pain free lower lumbar region. Cat-Cows: This super-pose is incorporated into the majority of our yoga classes and makes a huge difference to the flexibility of the spine. Think of the cartilage found between the spinal vertebrae much like sponges that are at risk of drying up and going crusty if they are not regularly lubricated. By moving through several cat-cow postures in sequence, we are effectively flushing out old stagnant blood and revitalising the cartilage with fresh oxygenated blood and nutrients. This regular movement helps to keep the cartilage supple and sponge-like rather than dried up, stiff and immobile. Guidance: Start on all fours with shoulders over wrists and hips over knees. Starting at the lower spine, drop the belly (keep sucking the tummy inwards) and bring the gaze upwards whilst inhaling. On your exhale, start to round the back, beginning at the lower spine and rolling through until your gaze comes to your tummy button. Repeat sequence several times. Thread the Needle: Like cat-cows, this posture focuses on spinal flexibility but this time we take a twist to really work into the sides of the vertebrae, increasing the overall mobility of the spine. This pose has the same advantages as above but also has the added bonus of giving some of your internal organs a good squeeze and detox too. As with all twists, it is important to maintain a deep and even inhale and exhale to efficiently oxygenate the blood. When the twist is released, it is this newly enriched blood which floods back into and revitalises the cartilage of the vertebrae and the organs. Guidance: From all fours thread your right hand underneath your left arm, bringing your right shoulder and your head down to the ground. 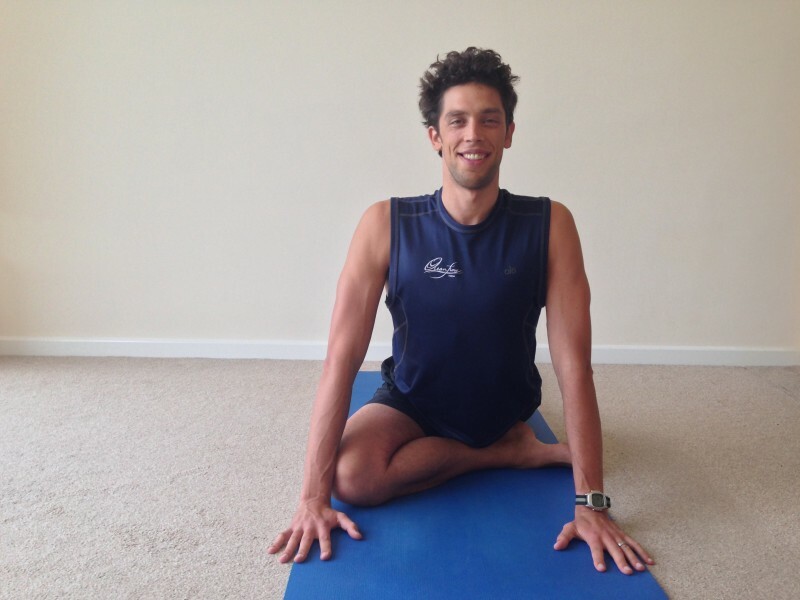 Your right hand should be fully extended on the floor and pointing to the left whilst your left arm is bent and balancing your upper body during this pose. Once you have taken five deep inhales and exhales in this pose, come back to all fours and take one cat-cow pose to neutralise the spine. Repeat on the other side. 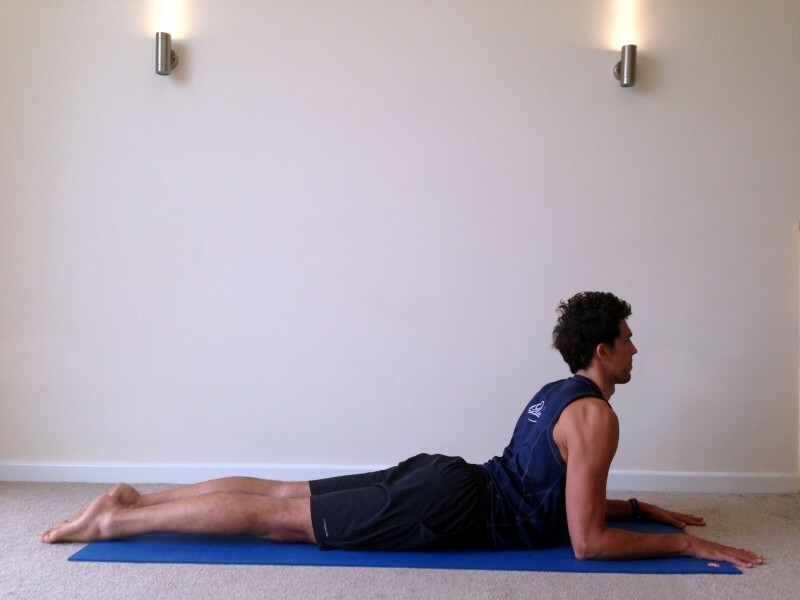 Sphinx Pose: A great one for building up strength in the lower lumbar region. By building the muscles of the lower back we are able to better support our torso, our posture improves and we are less likely to slouch. By supporting our lower back and improving our posture, we in turn collapse less in the lumbar region and prevent that compression on the discs of the lower vertebrae. Guidance: Lie on your tummy with your elbows underneath your shoulders and your forearms on the ground pointing in front of you. Engage your thighs rolling the outside of your thighs down towards the ground and the inside of your thighs up to the ceiling. This helps to ensure you are not squeezing and lifting with the buttock muscles but instead engaging and strengthening the back muscles. Your forearms should be actively pulling backwards which has the effect of pulling the chest forward opening up the heart and the chest. Be careful not to hunch the shoulders in this pose. Boat Pose: Like sphinx, boat helps to build muscles which will help us support our torso and improve our posture, preventing slouching. 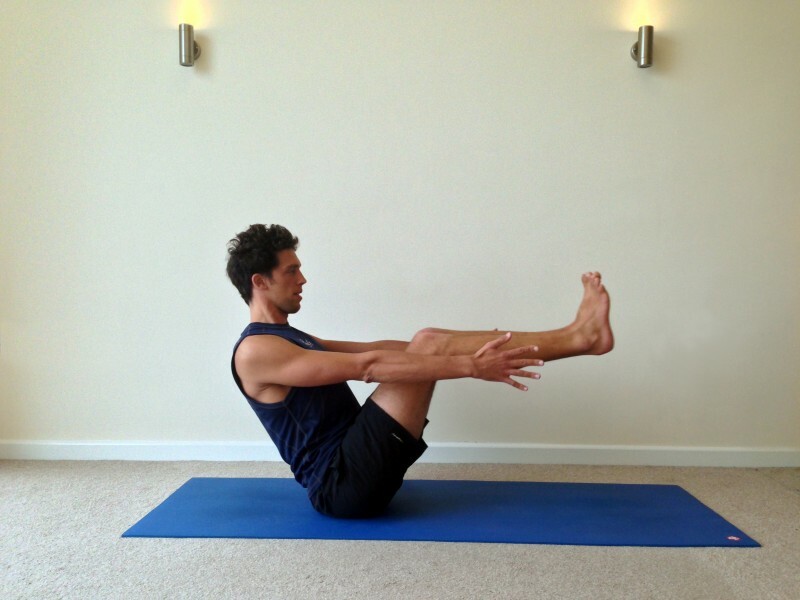 This pose however, focuses on the abdominals and strengthening up the core. 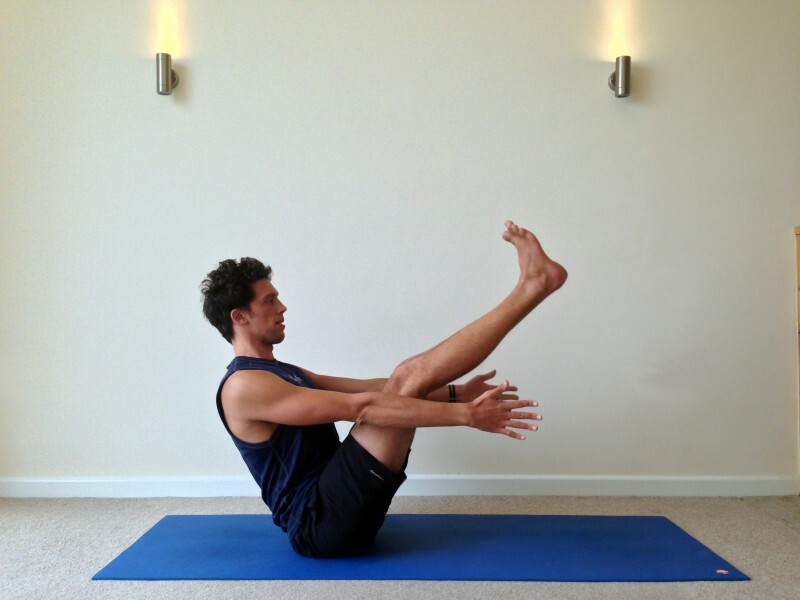 By regularly practicing this posture you get the added benefit of a defined, toned tummy…great for the summer! Guidance: Start in a seated position with the soles of your feet on the floor and your knees together, bent in to the chest. Holding the underside of your thighs for support and engaging the abdominal muscles, slowly raise the feet off the ground. If you feel strong and balanced, you can release the legs and extend the arms out in front of you. 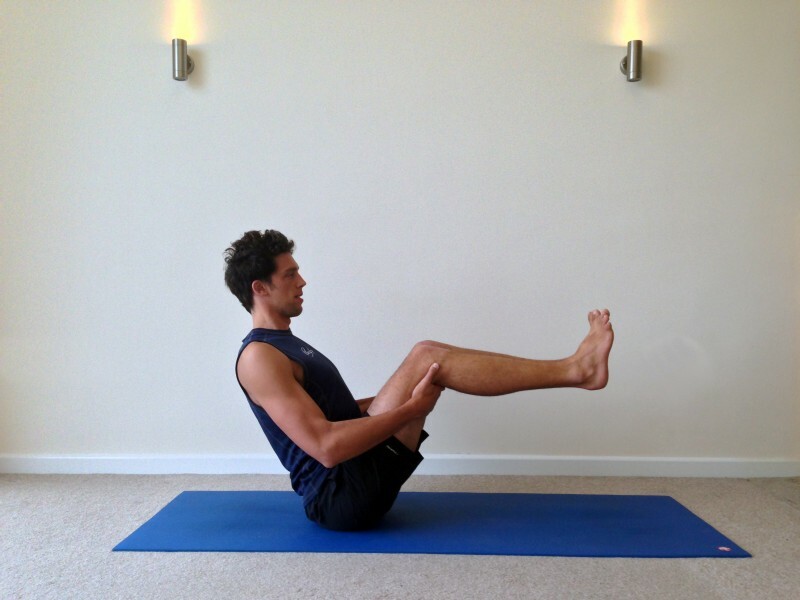 For a really juicy version of boat pose, try extending your legs out and up towards the ceiling. Pay attention not to collapse and round the lower spine by keeping the abs engaged and the spine straight and tall. Try to maintain an even full inhale and exhale in this posture, holding for as long as you feel comfortable without compromising the integrity of the pose. Pigeon Pose: Often the nemesis pose of many new yogis. Pigeon is an intense hip opener which can be uncomfortable to hold at first but becomes easier the more your hips loosen and open out. By releasing the hips, we in turn release the lower spine and sacrum helping to prevent compression in the lower lumbar region. 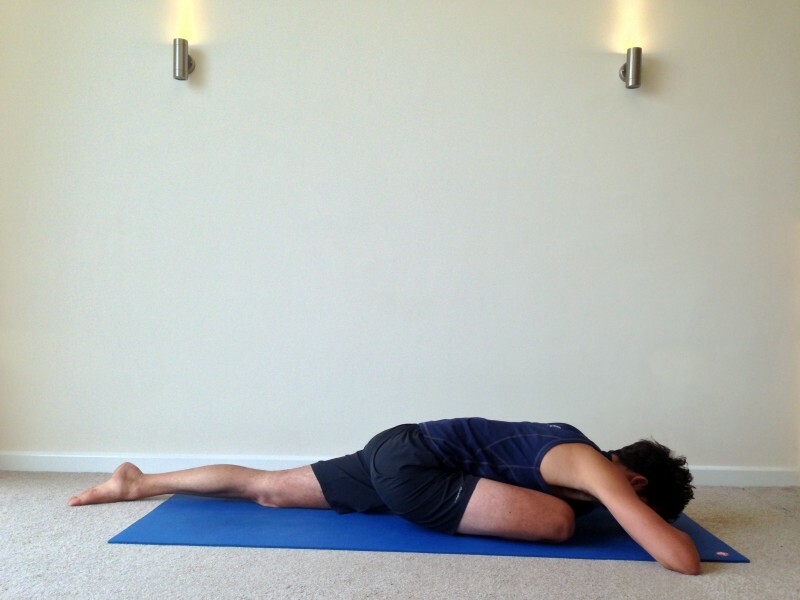 This pose has the added benefit of helping to relieve sciatica, IT Band issues, Piriformis syndrome and Psoas pain. It is a great one for runners and cyclists which we typically find have very closed of hips combined with tight hamstrings. Guidance: From downdog, bring the right knee to the right wrist and allow the right foot to come underneath the body. Walk the left leg backwards allowing the hips to sink down towards the floor. Allow your chest to stand proud and tall before lowering yourself slowly over your bent knee until your forehead reaches the floor. If the hips are too tight for this, you can use your fists stacked one on top of each other to support your head whilst relaxing down into this pose. Try to keep the hips level and the breathing long and even. Hips can take a long time to open up and we recommend holding this pose for 2-5 minutes depending on your level of comfort. To exit this pose safely, push up through the hands lifting your chest and roll onto the right buttock. 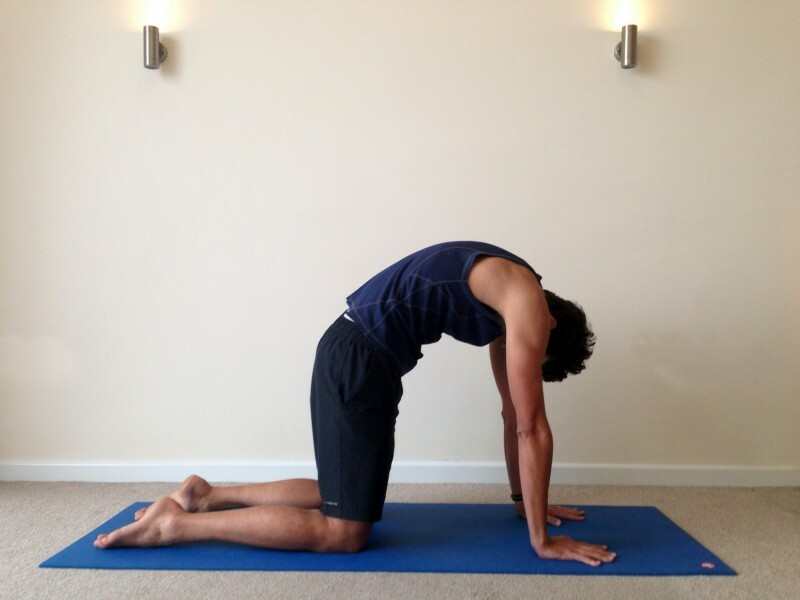 Coming onto all fours, push back into downward facing dog and repeat on the other side.